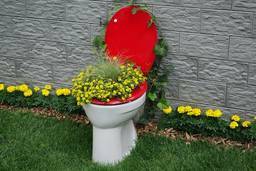 Home Plumbing How much will it cost to repair a blocked toilet in Sydney? Is the DIY option worth a try? Many homeowners will try DIY options such as drain cleaning chemicals before calling a professional Sydney plumber. However, many of these products only work for very specific kinds of blockages. Most plumbers recommend against using them because they are corrosive and can damage the pipes, resulting in bigger problems down the track. Broadly speaking, a clog occurring in one of three places can result in a blocked toilet. The first kind of blockage can be referred to as a local clog. This means the blockage is located within the pipes inside of your home and the blockage is confined to one plumbing fixture - in this case your toilet. Local toilet clogs may be caused by wet-wipes, excessive toilet paper or sanitary items that have been flushed. The second place a blockage could appear is in the underground sewer pipes that are located outside of the house, within the boundaries of your property. Blockages in the sewer can affect multiple plumbing fixtures within the home so you might notice the shower and sinks are slow to drain, in addition to the toilet not working properly. Blocked sewers are commonly caused by tree roots, wet-wipes or a build up of congealed grease and fat. The third place a clog can occur is within the public wastewater lines that are outside of your property’s boundaries. These kinds of blockages are the responsibility of Sydney water and any expenses you incur as a result can be reimbursed by filling out a sewer choke claim form. How much does it cost to repair a local clog? A local clog is a quick and cheap problem to fix. In most cases, the blockage can be removed using hand tools such as a heavy-duty plunger or an air-snake. If the clog is cleared within an hour you can expect to pay a Sydney plumber around $150 - $200. How much does it cost to repair a clogged toilet caused by a blockage in the sewer? A blocked sewer can be caused by any number of things and the cost and complexity of repairs depends heavily on this cause. If the sewer is blocked by congealed grease, fatbergs, sanitary items or mineral build-ups it will require specialist drain cleaning technology to clear. Some of the equipment used includes CCTV drain inspection cameras, pipe locating technology and high-pressured jet blasters. There are many stories of homeowners getting lured in by plumber who advertise low prices for clearing blocked drains. They then getting charged excessive amounts when the plumber has to use specialist drain machinery. A professional and honest Sydney plumber will provide you with upfront pricing for the use of such equipment. You should expect to pay approximately $300 - $400 for the first hour, and then $150 - $200 for each additional hour after that. Blockages caused by tree roots are another matter all together. Jet blasting machines are strong enough to clear out tree roots in underground pipes. However, the roots will eventually grow back over time, normally within six to 12 months. This is because tree roots are attracted to the minerals and moisture in pipes and can enter even the smallest hairline cracks. The options are the arrange annual jet-blasting to clear the roots, or to have the cracked section of pipe excavated and replaced. If the sewer blockage is caused by sagging, collapsed or badly damaged pipes replacing part or the entire system might be necessary. It’s hard to give a price for this kind of repairs. It could be as low as $500 if only a small area of easily accessible pipe needs replacing. On the other hand, replacing the entire sewer system can cost in excess of $10,000. The best thing to do when hiring a Sydney plumber to unblock you toilet is to ask for upfront and transparent pricing. Don’t be tricked by cheap sales gimmicks. If the price sounds too good to be true, it probably is.